Agescan International Inc. has been manufacturing and supplying carbide die bushings for many years. Such type of die bushings are dimensionally accurate, scratch resistant, resistant to wear and tear and have longer usage life. These bushings are available in different diameters and styles, to suit most sizing dies. The professionals at the machining shop develop die bushings in batches. They can also create such bushings in custom sizes on client special order. They make use of proper grade of carbide in the production process, to assure the final product gives longer wear irrespective of the application. 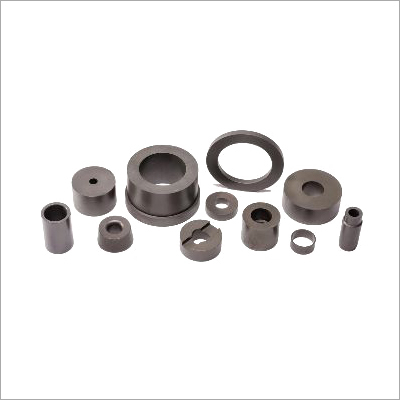 The round carbide die bushings can be measured by its body diameter, head diameter, head thickness, minimum land, and overall length. Immense hardness & corrosion resistance makes it apt for manufacturing cutting tools for machining, sports equipment, surgical instruments and nuclear products. Designed & precision manufactured by expert engineers, designers, technicians and other skilled professionals. Trusted and acknowledged for their accurate composition, high density, low electrical resistivity and lightweight.